It may sound weird, but the idea of smart glasses actually looking like a standard pair of spectacles is a bit far-fetched. But ION Glasses take on Google Glass and the competition with a fairly traditional looking pair of hipster specs. The classic View-Master is dragged into the 21st century with 'The True-View.' The 3D smartphone fad died a couple years ago, so what if you want the best of both worlds? That is where this pretty beautifully designed device comes in, allowing you to take 3D photos and videos on your 2D phone. We've seen many efforts in bringing the world closer to space, all from a plethora of multi-billion pound companies. But imagine a mission to the stars ran by four guys in a garage and, possibly, you. Introducing WREN: the first satellite you can fly. From the most dedicated of Liverpool fans to those who don't watch football, everyone is aware of the Hillsborough disaster of 1989. Of the 24,000+ fans who travelled to Sheffield that day, 96 never came home. 'SATURDAY' aims to tell the story of this tragic event from a unique perspective. Take the unique blend of Castlevania, Strider, Dishonored and Mark of the Ninja, and you get an ambitious side-scroller by the name of Super Techno Ninja. Taking the best of classic action games and combining it with modern gameplay mechanics, London-based independent game developer Darryl has introduced something new to what has become a rather tired genre. 'He Took His Skin Off For Me' is a love story about a man who takes his skin off for his girlfriend. Really nothing more we can say except for that. For the past few centuries, the piano has been commonplace in music. During this same period of time, the instrument hasn't really evolved either. Well that is until now, as the 'Touch Keys' DIY sensor kit brings touch sensitivity to the surface of piano keys, similar to the screen of a smartphone or tablet. What would you get if the creative minds behind the likes of Gears of War, Unreal Tournament, Twisted Metal, Return to Castle Wolfenstein and Interstate '76 made a game? Newly formed Pixelbionic has the answer: presenting MotorGun, the studio's inaugural car combat title. We've become closer to space than we could ever imagine recently. Through the likes of SpaceX and Virgin Galactic, it's fair to say the idea of taking the kids on a holiday excursion to deep space is becoming less far-fetched as the years pass by. However a recently launched Kickstarter, called Pocket Spacecraft, project doesn't hope to get you into "space tourism," rather give all backers their own "personalised spacecraft" to send into orbit. UK filmmakers Sneaky Zebra have unveiled their new project: a short film focused on the character of Luke Cage (otherwise known as Power Man) and how he breaks out of his unjust imprisonment, bringing unwanted attention to himself in the process from certain high-up interested parties. The Realm is an upcoming point-and-click adventure game currently making the rounds on Kickstarter. The game takes place on an Earth in the far future, presumably after an apocolyptic event, in which remnants of cities and civilisations we recognise today have grown in harmony with nature - trees, plantlife, and the like. The game follows the journey of a young girl, Serena, and her giant golem friend, Toru throughout the land, all rendered lovingly in a hand-drawn artwork style, layered to create 3D environments. 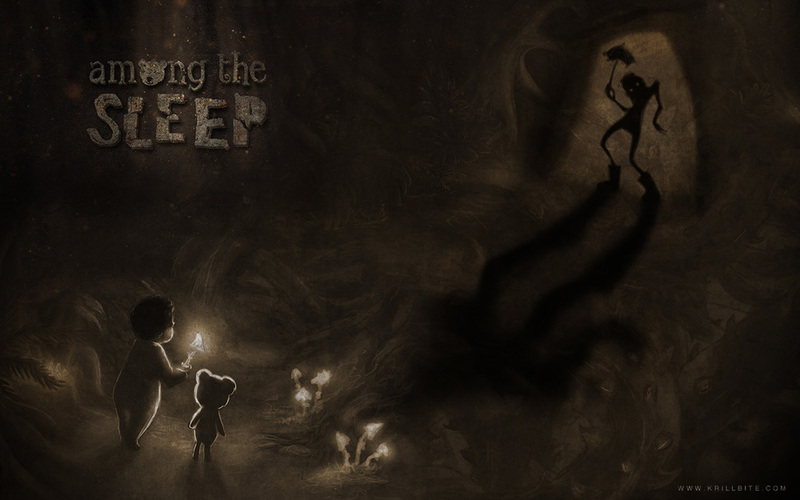 Among the Sleep is an upcoming game that puts you in the role of a two-year-old child. Recently launched on Kickstarter, it uses the amazing surreal nature of childhood imagination and dreams, alongside the helplessness of being at such an age to create an interesting premise for a horror adventure. Max Weber was born near Stuttgart, Germany in 1990. After an intership at a local design agency he became interested in the underlying structures that make up a brand, logo or concept. Combining his passion for music and sound with his design experience, he started studying audio design. Although he is curious about a multitude of subjects, Max's primary interest is in the procedures at work behind art forms. 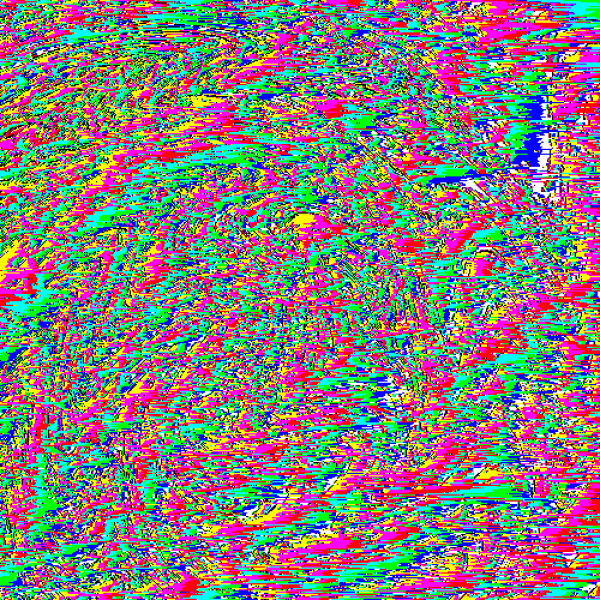 Aside from Databending, Max also produces electronic music, predominantly influenced by Techno. He recently allowed me to interview him, after I discovered his work through Reddit. Six years ago, KING Art Studios made a prototype of turn-based strategy game Battle Worlds: Kronos, which underwent community testing and gained popularity with the European strategy community. However, no publisher came forward to back the project, and as the developers moved onto new games, this highly regarded title was to remain unfinished. As you could probably tell with this substantial amount of build-up, that is until now. Anybody who regularly travels will know the pain of international data costs, or keeping track of international SIM cards to dodge these charges. Luckily, 'SIMPLcase' is an iPhone 4/4S/5 case with a solution that is, as the name suggests, simple.